Junkoust Cleaner software which is so good in PC optimization. It’s been downloaded in every country worldwide and installed more times. It selects drive from pc for scanning the dump files, temporary files, junk files. After collecting this entire file it ask for permanently delete this file. It frees the extra space of disk. Junkoust is designed to secure your privacy by cleaning up all your browsing history and cookies and stop users being followed by online ads of your computer. Malware will damage to your computer. Junkoust can safely erases unwanted files, data and settings to make your PCs run faster. Junkoust cleaner clean the windows register to run more smoothly and quick startup. Junkoust help you to induce additional work or play quicker by authorize you disable unwanted Program. Clean online traces every time you close Internet Explorer, Chrome, or another browser. Check and clean your PC regularly. A Memory optimizer helps you by cleaning the temporary files, Prefetch, Thumbnail cache, memory dumps, taskbar thumb cache, windows error, start menu shortcut. That means it cleans the all useless files by cleaner which only acquire the memory space. This files are auto generated after an hour it generates In thousand numbers. So, it necessary to remove extra acquires memory space with memory optimizer. How does JUNKOUST Cleaner Pro help my PC? Junkoust Cleaner Pro provides the ultimate solution to today’s irritating problems of computer. Junkoust Cleaner Pro brings you all the tools you need in one program to optimize and boost your PC ! To solve regular PC issues Junkoust Cleaner Pro is one of the best option which provides simple but effective solutions. We help computer users to secure, protect and fix their computers. 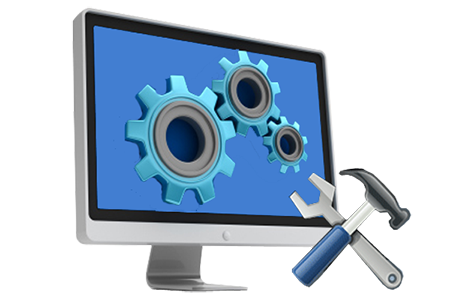 To provide a personal level of care of computer, we provide hands on remote live support by our expert team. Secure your data, privacy and online identity. It provides unlimited live PC support. It also provides various tools to keep your computer running fast. By removing unwanted files it speed up your PC. Speed up boot times by reducing the number of programs that start with Windows. Free up hard drive space by deleting unneeded files. It also detects and removes duplicate files. It clean online traces every time you close Internet Explorer, Chrome, or any another browser. Junkoust check and clean your PC regularly and automatically.